While it’s important to be on time (or even early!) to every job, it’s better for fuel saving purposes to avoid speeding since doing so means that you’re using more fuel. The faster you drive, the more money you’re spending on gas. A GPS vehicle monitoring system can alert you when a vehicle is going over your desired speed. While it might be tempting for your plumbers to leave the vehicle idling while they tend to a “quick” job or make a stop to pick up lunch, especially to keep it warm in the winter and cool in the summer, all of that idling time (and wasted gas) adds up. The system can also alert you when a vehicle is idle for a designated period of time. Using GPS technology, your plumbers are able to find the most direct route to any job site and get back on track if they find themselves lost. Current traffic condition information is provided so your plumbers are able to stay away from accidents, construction, or other road blocks in order to get to the job site on time and save on gas. For a larger plumbing company, the monitoring device can tell you which vehicle is closest to a job that just got called in in order to get there quickly. In addition to being safer and more efficient, a vehicle that is well-maintained is more fuel efficient than one that isn’t. A monitoring system can alert you when it’s time for any sort of preventative maintenance. A plumbing company will want to keep track of every fuel purchase that is made. The GPS vehicle monitoring system can keep track of purchases and mileage data so that fuel purchase behavior can be modified if needed. Employees can be one of your largest liabilities. A GPS is great tool for employee accountability; to ensure that an employee is where they should be at the time they are supposed to be there. Sometimes an employee may use a company vehicle for a “side job” or other non-work related tasks. This will cost a plumbing company a lot of money and the potential insurance liability could be catastrophic. 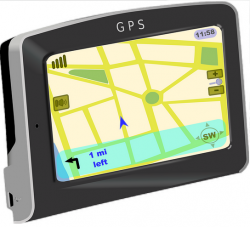 A GPS is an invaluable tool to keep track of employees and make sure they are on the up and up! In summary, the investment in a GPS system for your fleet, regardless of the company size, will improve the bottom line. It is one of the most cost effective investments you can make!